Mexico’s Secretariat of Agriculture and Rural Development and IICA renew commitment to work together. Victor Villalobos, Mexico’s new Secretary of Agriculture and Rural Development (SADER) met with Manuel Otero, Director General of the Inter-American Institute for Cooperation on Agriculture (IICA), during the latter’s visit to attend the inauguration of the new President of Mexico, Andrés Manuel López Obrador. Mexico City, 1 December 2018 (IICA) – The new Secretary of Agriculture and Rural Development (SADER) of Mexico, Victor Villalobos, and the Director General of the Inter-American Institute for Cooperation on Agriculture (IICA), Manuel Otero, committed to redoubling joint efforts for the benefit of Mexico’s agriculture sector and rural communities. Villalobos met with Otero while the IICA Director General was in the country to participate in the inauguration ceremony of the new President of Mexico, Andrés Manuel López Obrador. During the meeting, which was also attended by IICA’s Representative in Mexico, Gloria Abraham, Otero wished the Agriculture and Rural Development Secretary every success in his new post, and pledged the support of the Inter-American agency to tackle issues of relevance to the country’s agrifood sector. 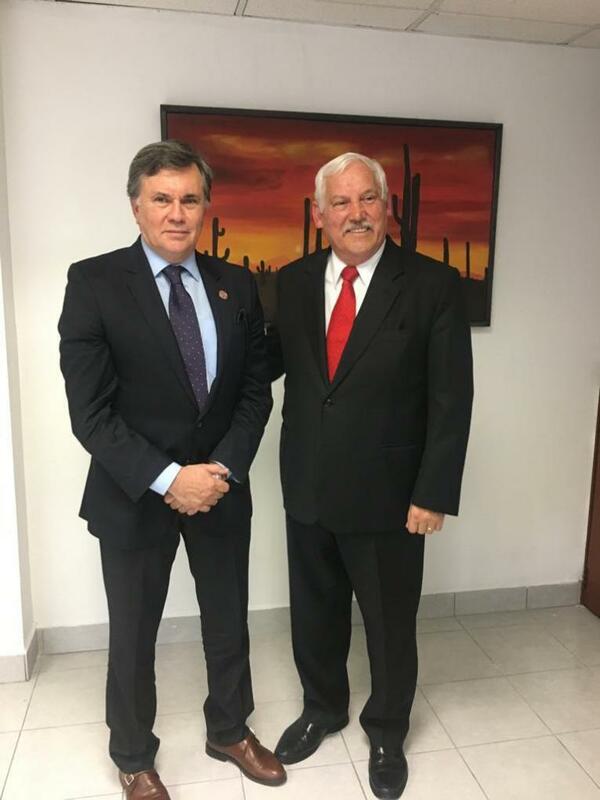 Otero remarked that, “We would like to offer Secretary Villalobos IICA’s wholehearted support on issues that are relevant to his administration’s agenda, which are critical for the development of Mexico’s agriculture and rural sectors”. SADER has four priority projects: improvement of the basic basket of goods through the newly created Seguridad Mexicana Alimentaria – Segalmex (Mexican Food Security); facilitation of credit to small cattle farmers; fertilizer production and self-sufficiency in food. IICA’s projects in Mexico are being conducted as part of an agreement with the Secretariat of Agriculture and public and private institutions, and they have earned the recognition of the Mexican authorities for having enhanced the country’s agrifood activities through the technical capacity that they offer. IICA’s main technical contributions are in the areas of: public policy and institutional framework development; technological, institutional and trade innovation; agricultural health and agrifood safety; entrepreneurial and associative capacity-building of chain stakeholders; capacity building of stakeholders in rural areas; as well as the enhancement of relationships, linkages and collaboration in terms of international cooperation.